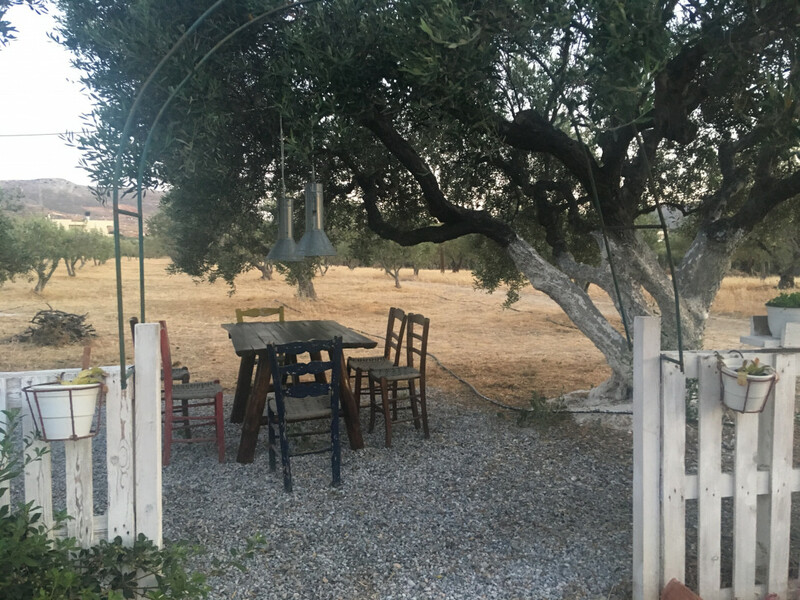 Tinggly Marketing Maestro Egle recently returned from an awesome holiday in Crete, the largest and maybe most beautiful island in Greece, and birthplace of Zeus. 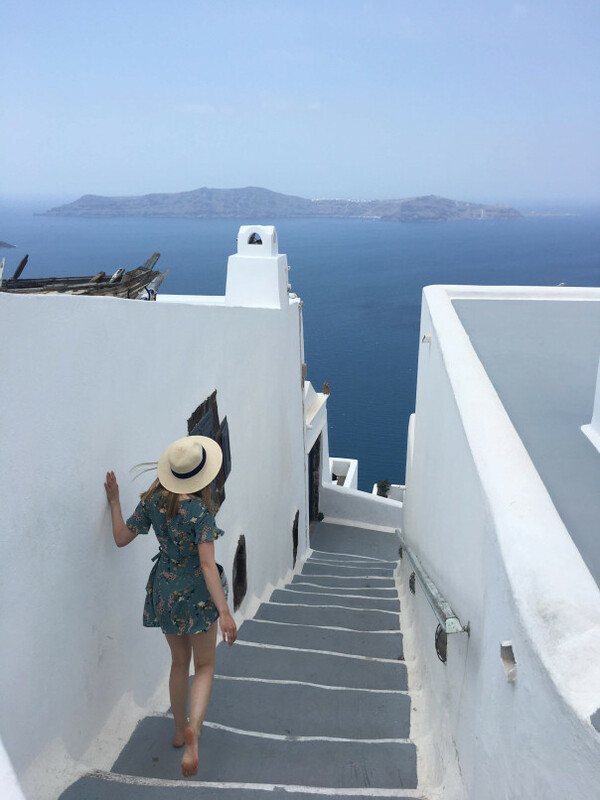 Here Egle shares her own first-hand knowledge on how to get the most of your own trip to Crete – what to take, where to stay and what not to miss! 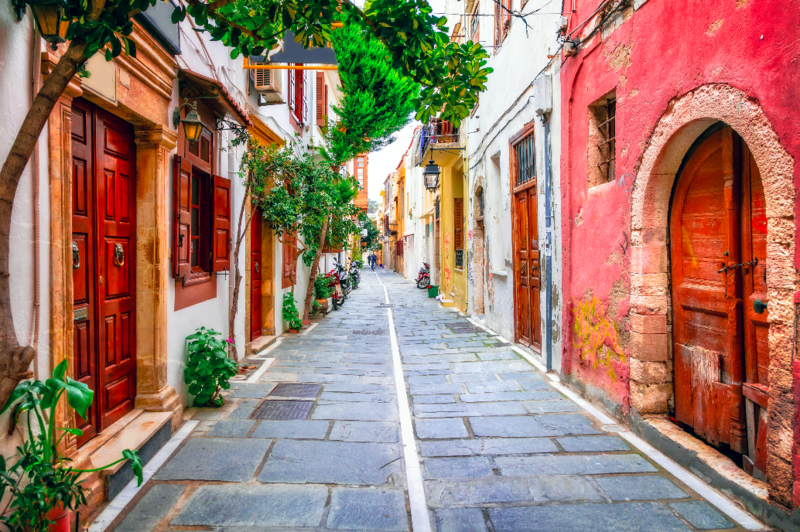 Before we left for Crete my friends and I did stacks of research to find beaches and ruins we wanted to see, restaurants we wanted to eat at and useful locations near our hotel such as the closest pharmacy, grocery and bank. We pinned them on a custom Google map so that we could easily save time and see as much as possible every day. Plus because everything was stored on our phones, we had less need to pull out the guidebook! There were five of us in our group, and although our car was spacious enough so that we were comfortable, with the five of us plus our bags it did sometimes struggle on steep hills. On one hill we actually had to get out and walk! So if you’re in a group then I recommend paying more for a car with a bit of oomph. 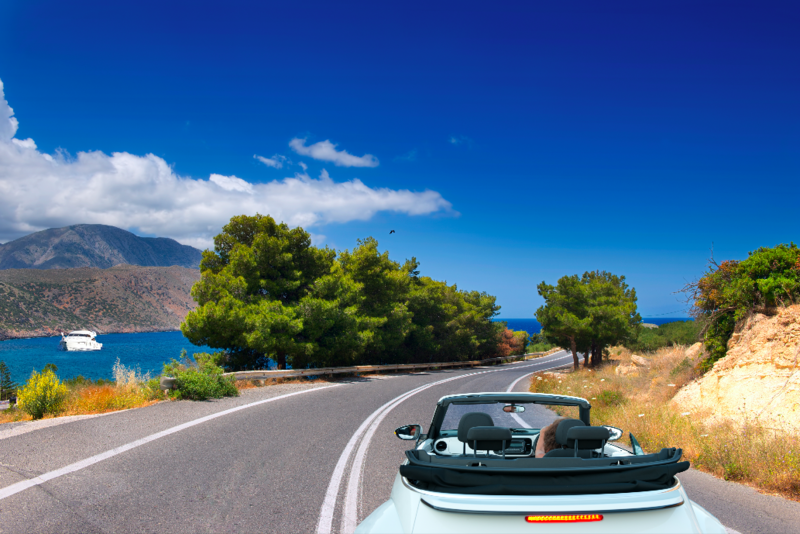 The second thing to remember is that Crete has a lot of narrow roads as well as steep roads, and sometimes they are steep AND narrow. So don’t go for too large a car either. Oh, and make sure you have air conditioning – it’s essential! Our hotel was located in the middle of the island, so we could travel to both eastern and western Crete. But knowing what we do now, I think next time we would opt for two hotels, one on each side of the island, with a few days at each, such as in Heraklion and Chania. That will save you a lot of drive time. Santorini, another ancient island about 100km north of Crete, is a must-visit I think. We took the boat across (remember seasickness medicine if you suffer as the waves can be rough!) and from there went straight to Thera by hiring a minibus (30 euros for five people, one way – not bad). The Crete to Santorini ferry takes about 2.5 hours and it is worth booking ahead at peak times. Thera is quite touristy and crowded so I would suggest you head for Oia, which is a very old community and much calmer. To get to Oia we rented a car, and this allowed us to get off the beaten track more. Santorini is very beautiful, and so very busy. Having a car let us escape the crowds. The beaches of Crete are beautiful, but they are rocky too, especially on the south of the island we found. And the sand can get super-hot. Luckily we had thought ahead and each brought a set of swim shoes with us. 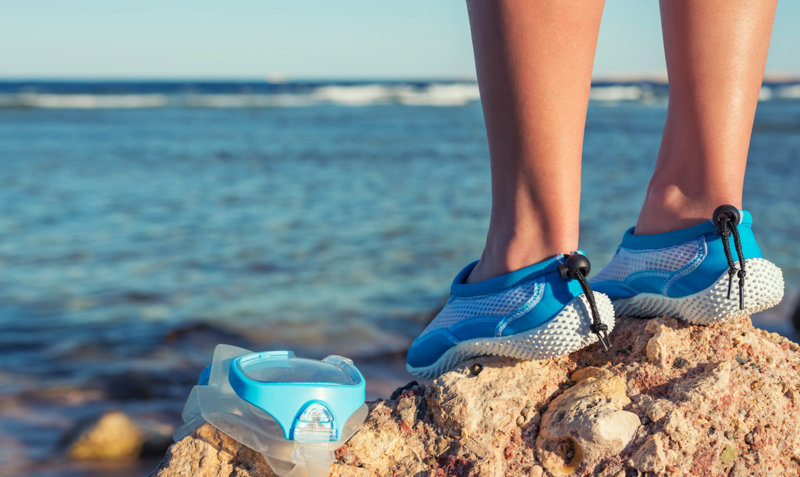 These are an amazing invention – lightweight, but comfortable and they don’t affect your swimming at all. And the soles of your feet are protected at all times. I love Greek food. We ate out all the time in Crete and my favourite dishes were the fresh salads, the gyros which are tasty meat wrapped in flatbread, and dakos, which is like a Cretan version of the Italian bruschetta. We also shared a plate of snails. The best restaurant we visited, by far, was Athivoli in Heraklion, a lovely traditional place in an olive garden – the meze plates are amazing. There are literally hundreds of beaches in Crete, and many of them are drop-dead gorgeous. 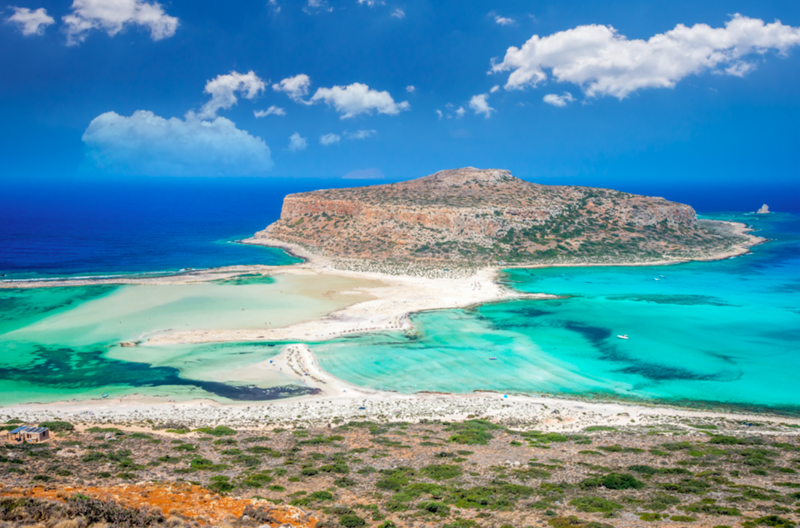 But our favourite by a long way was Balos, otherwise known as the Blue Lagoon, about 60km from Chania. The beach is white sand but it has a beautiful pinkish tone because of all the crushed shells. It’s a must-see I think, but you should try to make an early start and get there before all the tour boats arrive in mid-morning. You can get there easily by car, but bring hiking shoes as there is a walk involved – it’s really worth it though. I know that everyone says it, and you’d be crazy not to wear it, but sunscreen is definitely needed in Crete even outside the summer months. It gets really hot. We would always find shade during the midday sun and try not to be driving through it.